Advanced blending and fanciful storytelling are permeating throughout the spirit industry. Many brands are taking it upon themselves to create super-rare amalgamations tied to their heritages. Despite a corresponding opportunity for overwhelming pretentiousness, the resulting products are frequently quite lovely. Amongst this barrage of high-end additions, CAMUS recently released one of the most standout products on the market. I was fortunate enough to attend a private release dinner for the 5.150 Cognac at Scott Conant’s Private Culinary Suite in Soho (see menu from this dinner below). The event was elegant, intimate, and relaxing. Several CAMUS representatives were present, including president Cyril Camus. 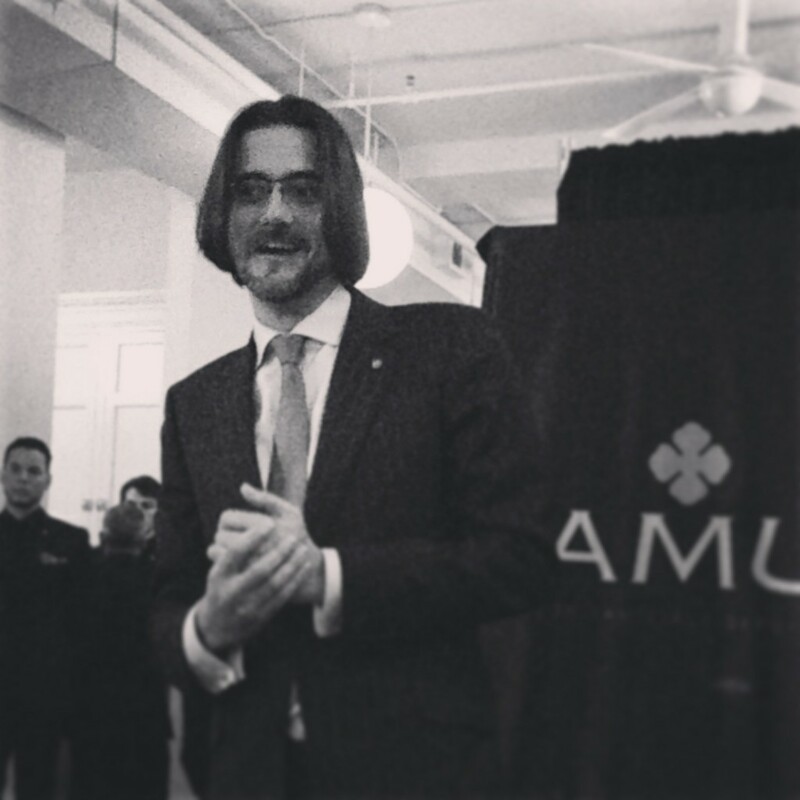 A notable addition was Frank Matz, head of CAMUS Coffee. Before dinner we learned what inspired the new product release. Since 1863, CAMUS has been led by five generations of men, all contributing to the vision of the company in unique ways. Thus five specially selected Cognacs were blended to create the 5.150. Ranging from 22-37 years of age, each component Cognac represents a generation of CAMUS leadership. The result is a celebration of these five leaders. CAMUS coffee was also served. It was robust and pleasantly bitter… a perfect choice for someone who knows that coffee should be taken black. Soon after our meal, the 5.150 bottle presentation began. The Baccarat crystal design was amongst the most beautiful pieces I have seen. I wondered if the spirit inside would be as amazing as its enclosure. It certainly was. 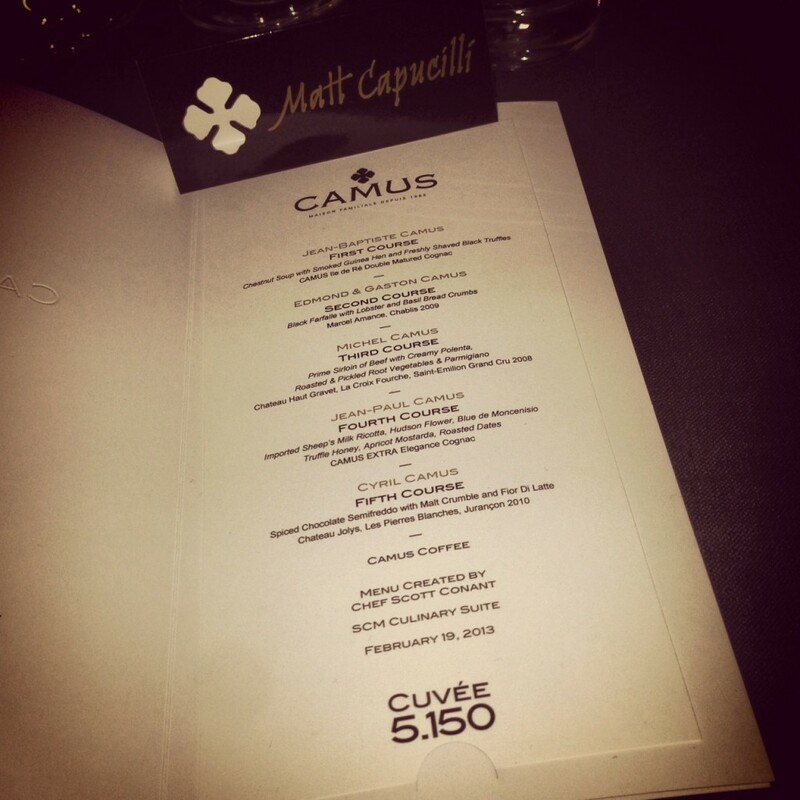 CAMUS 5.150 was hands down the most explosive, flavorful Cognac I have ever consumed. I tasted a rich, nutty center, notes of toffee and honey, and highlights of berry and earth. The finish was long, clean, and left me aching for another glass. The long tradition of CAMUS craftsmanship shines through in the 5.150 Cuvee Cognac. A mere 1492 bottles are in existence, and only 60 will be available in the United States. 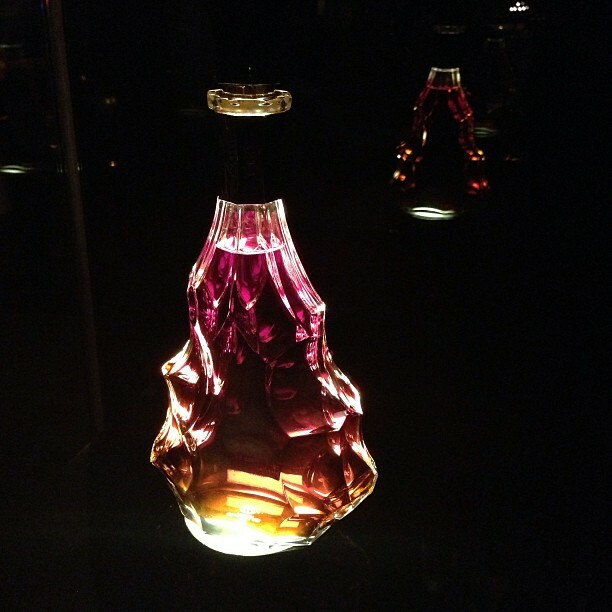 With an estimated price point of $13,500, this Cognac is about as good as it gets.